Place the butter in a heavy-bottomed pan or kadai and melt on medium -low heat,keep stirringin between.The butter slowly melts down,keep stirring. Once it has melted down completely,allow the butter to boil and it will form a thin foamy layer on top with the light yellow liquid on the bottom. Now add the 2 tbsp of thick curd do not mix and when u add the curd ,there will be lot of bubbling and gurgling.Don't panic.Reduce the flame to low, uncovered and undisturbed for 30 minutes until milk-solid on the bottom of the pan turn from white to beige-brown,and butter on the top becomes transparent like clear water. This is the signal to turn of the heat.Please take caution not to burn the bottom part. 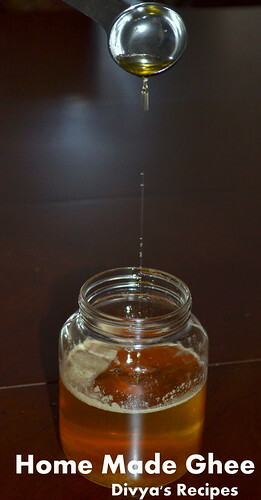 Remove the ghee from the heat and let it cool. 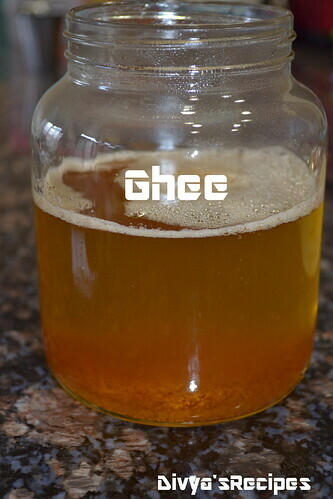 After its cool down,strain the ghee through stainer in a air tight container,keep that brown thing for later use. Actually that brown thing is called Godavari or Netuppu and this godavari u can it 3 ways.Godavari in our or our home town all will eat.For this me and sister and bother will fight for this.that much we love this.Kid will like this. Heat the pan brown thing and 1 cup of milk mix well. Now bring to boil,boil for 10 minutes. Now add the 1 tbsp of curd and salt stirring well.Boil it and u can it became curdle and water. Boil till the water is evaporates,it became semi dry.Switch off the flame. Serve with hot with plain rice and mix, eat it. Or take godavari mix with sugar and eat it with rasam rice or curd rice. - tastes really good. 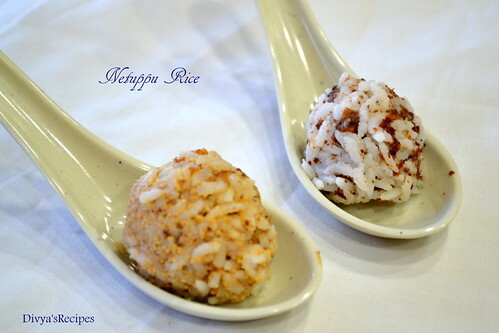 Either u can eat with rice and godavari ,salt mix together eat it.Give this for small kids they will like it. 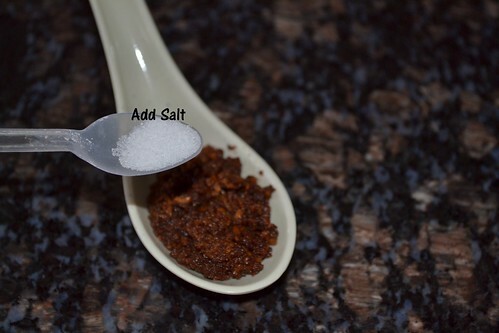 Note:- Adding curd give nice flavorful and will help stay so for a longer time. Why you are adding curd in butter while make ghee. Looks perfect. very interesting post, thanks for sharing this lovley info...beautiful presentaiton n pics! Love homemade. Instead of curd, add betel leaf or pinch of salt. 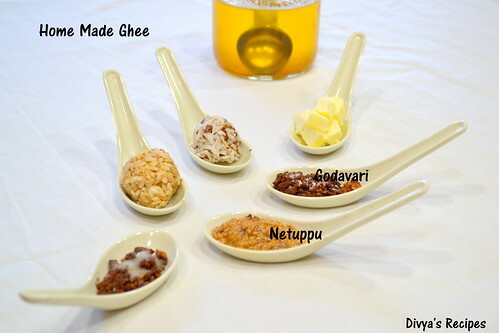 Nice detailed post about ghee making..Why is curd added there? 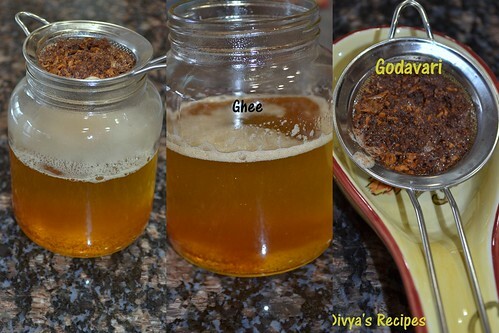 Loved the clicks..
Home made ghee is always best...I can feel the pure ghee flavor..very informative and useful post. Adding curd is totally new. Godavari is also something new to me... Like the way you prepared. Nicely presented.. Learned quite a lot of new things from this post.. 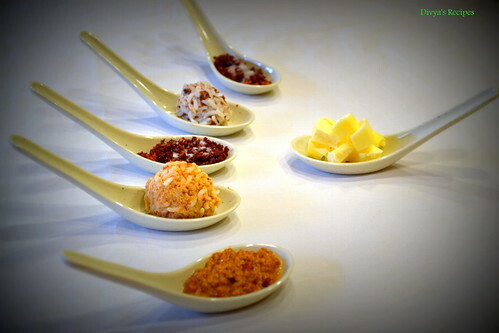 Awesome clicks too..
We add wheat flour and sugar the leftover ghee solid and have as balls, godavari sounds very interesting..Beautiful post. looks super. Very useful post. Bookmarked! adding curd to ghee is a new info,will try next time:)Inviting pics too,Divya..I too love the last milk solids when mixed with rice and salt,heavenly combo!! What a lovely and informational post...Loved all the info given and also the pics are really good. Should try this soon. 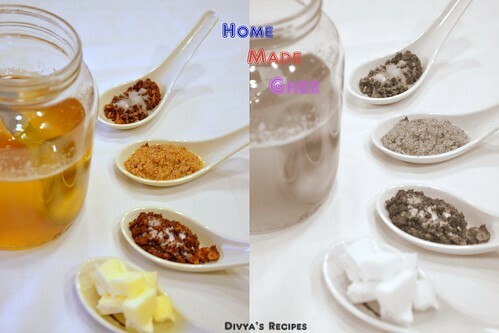 home made, always more flavorful, and the godavari mix is new and very interesting..
Easy to follow and looks perfect! liked all ur clicks divya..
nice useful post and lovely pics. Nice post for beginners..Love your pictorials..
Beautiful and detailed clicks Divya,Godavari name is very interesting. 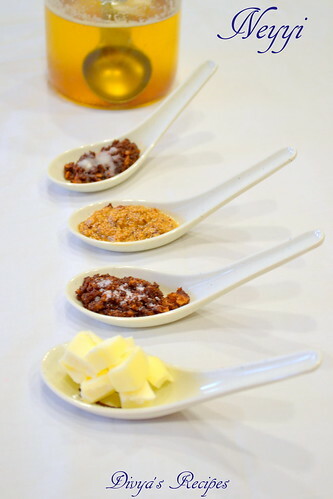 Thanks for sharing how to make ghee with us! 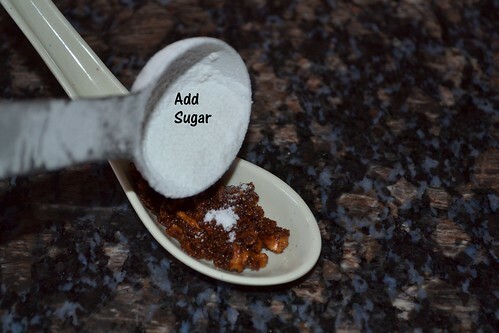 Homemade is much better than store bought! Lovely post and adding curd is interesting. Divya, I do fast on every thursday and friday...On these two days I don't read, post or comment on non-veg dish...I'll come on saturday to read your today's post. Adding curd is new to me, Divya I am not sure , but nowadays they tell we should not eat the godawari(what u called), first we also do, now I dispose it.